...Roll Your Shopsmith Effortlessly From Location To Location With One Finger ? Our New 3" Diameter Caster Wheels Will Make That Wish Come True ! 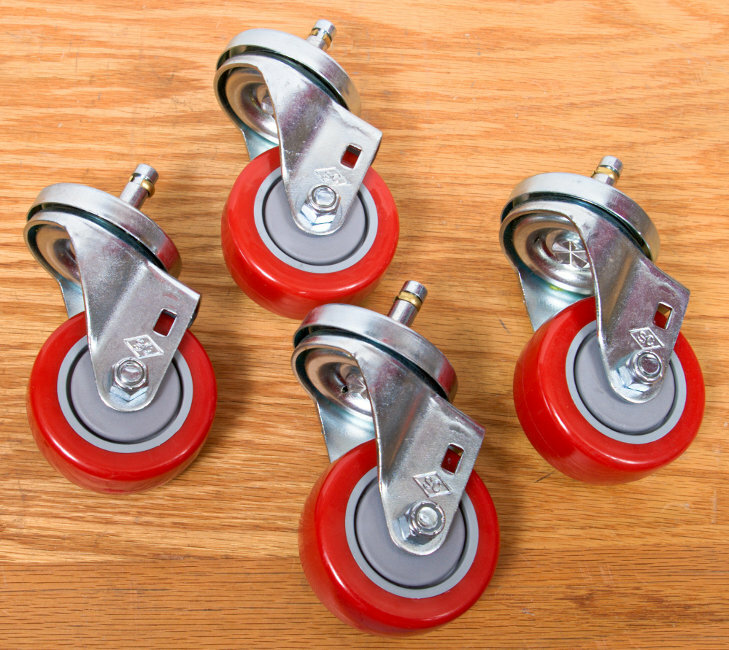 These big 3" diameter by 1-1/4" wide casters feature tough, polyolefin wheels and rugged 3/8" steel axles that roll super-smoothly on sealed ball bearings. Their soft, non-marring polyurethane tires deliver the perfect combination of shock absorption for a smooth, quiet "ride"... and resistance to developing flat spots. The tires are both chemically and mechanically bonded to the wheels so they won't come off --- plus, they're certified to be resistant to the oils and chemicals found in the home shop. 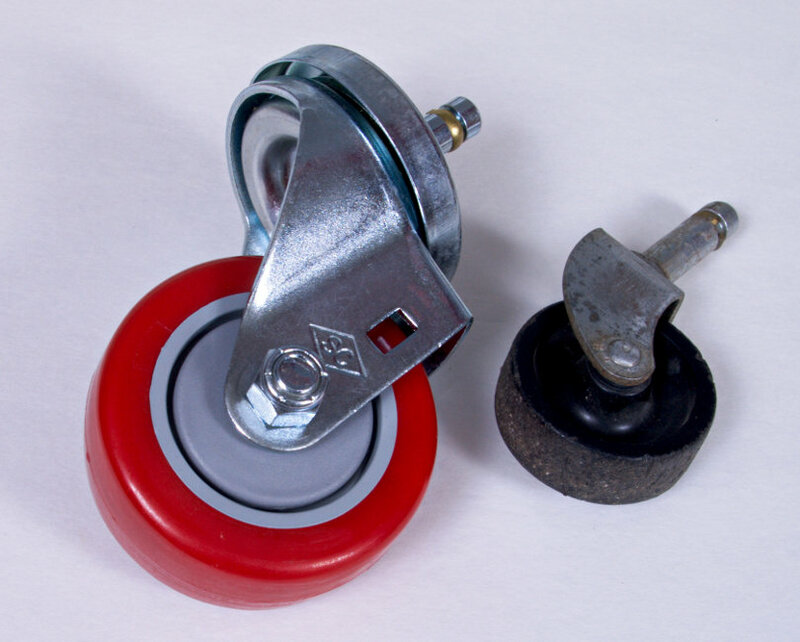 Rated at 200# per Caster, they rotate on beefy 7/16" diameter grip-ring stems and double ball bearing 360° swivels with hardened raceways and metal covers that shield the bearings from dust and debris. They swivel instantly, changing direction with practically zero resistance! Installing them on your existing Shopsmith Retractable Caster Brackets is a "breeze". Just re-drill some new bracket mounting holes in the legs of your Shopsmith (we provide a paper guide template for positioning)... pull the old casters out... pop the new casters in... bolt the brackets into the new position... and you're done in about half an hour ! That's all there is to it. We set-up a new MARK 7 as a table saw / jointer combination, weighing in at a hefty 284 lbs... then ran a series of tests with the original 2" and the new 3" casters on a smooth, swept tiled floor. We used a 40# capacity spring scale for our tests... attached to the table carriage at the center of mass on the operator side of the machine... then pulled the machine sideways to take our measurements. First, we set each set of casters so the wheels were 90-degrees to our pull direction. Then, we rotated the wheels so they were set parallel with our pull direction. 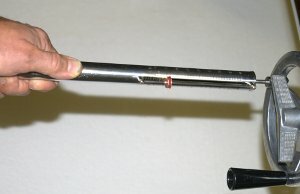 The results (showing the amount of pull force required) are shown below. Includes: Set of 4 premium replacement casters for use in your existing retractable caster brackets • template and instructions. Note: For use in existing retractable caster brackets for Mark 7 and Mark V only. 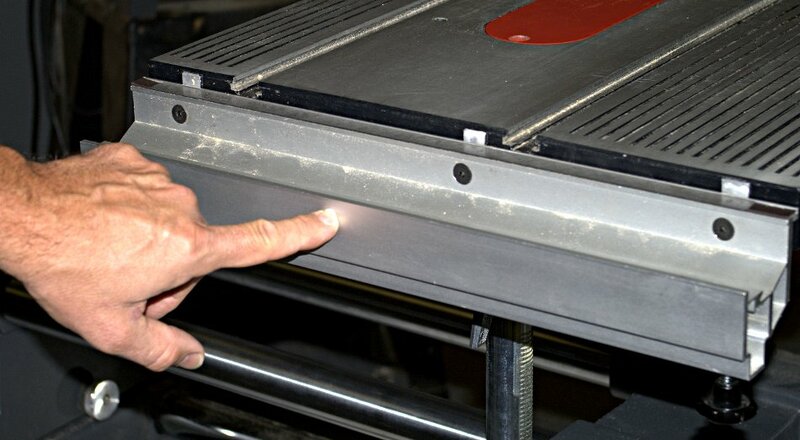 SPT Stands, Planer Stands and other machines do not accommodate a higher caster bracket position. Not comfortable locating new holes using the paper template? We have the answer in this installation kit. 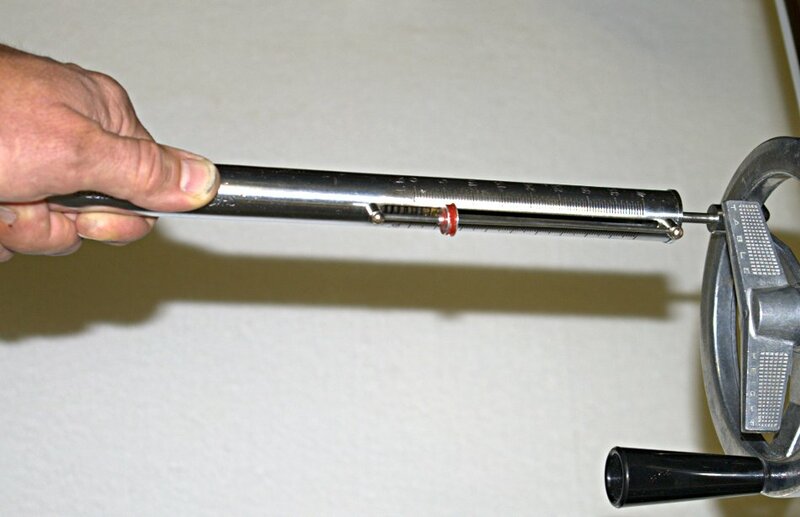 The metal guide uses a pin to locate in one of the existing mounting holes, then bolts solidly into place through the remaining existing mounting hole. You're then set to drill the two new holes precisely where you need them. 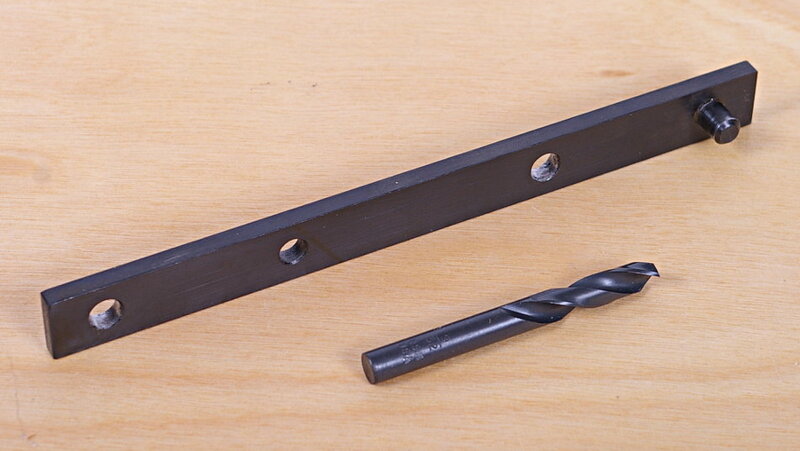 The kit even includes the correctly sized drill bit for an easy installation.